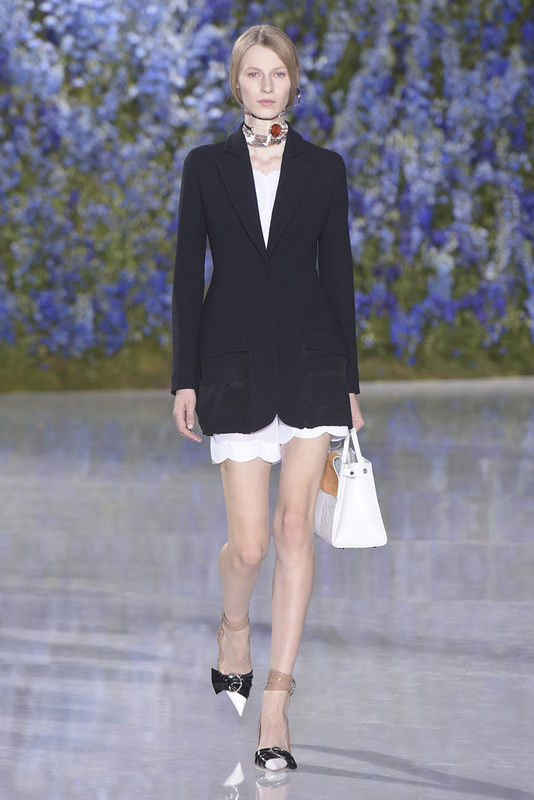 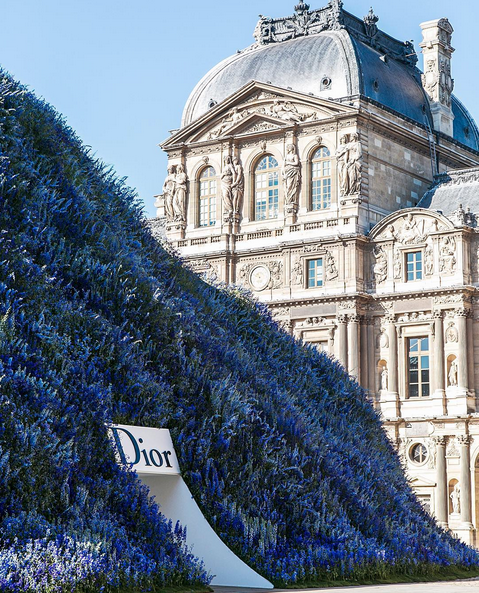 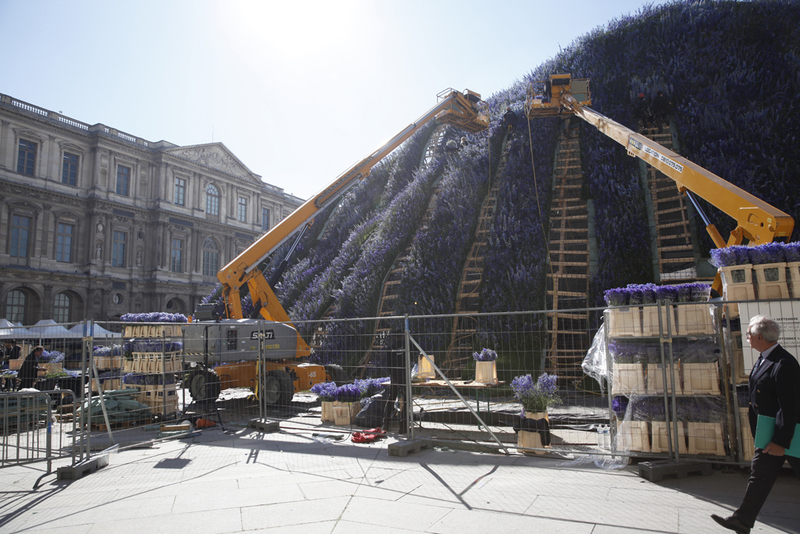 Dior, already famous for its creative use of flowers in its shows (see here) has gone next level to create the most magnificent delphinium mountain in the middle of the Cour Carrée of the Lourve. 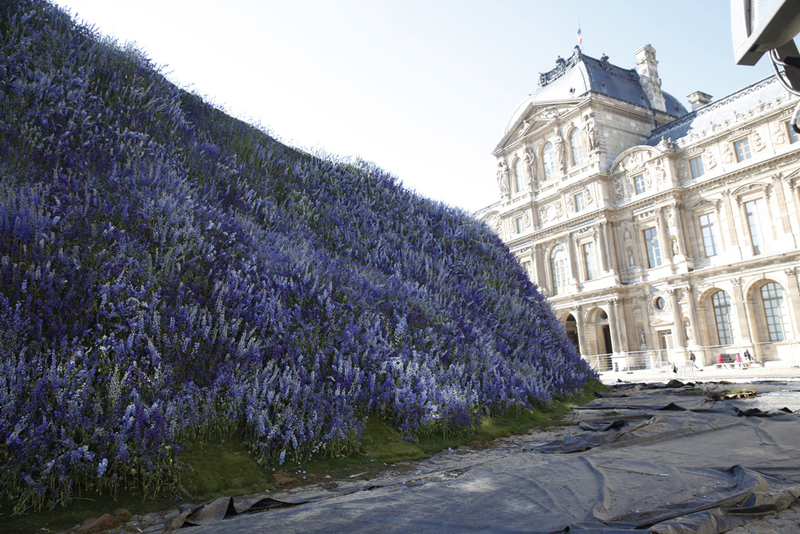 The show took place inside the structure where the models walked in front of a smaller but no less impressive hill of flowers. 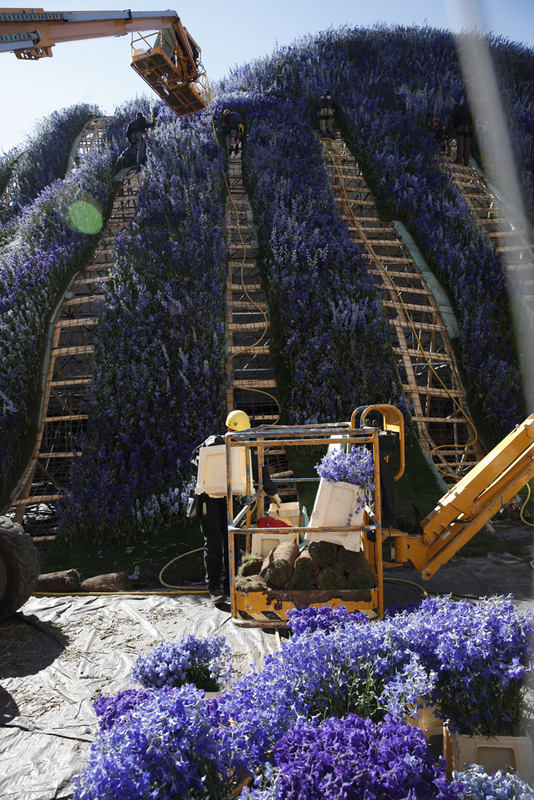 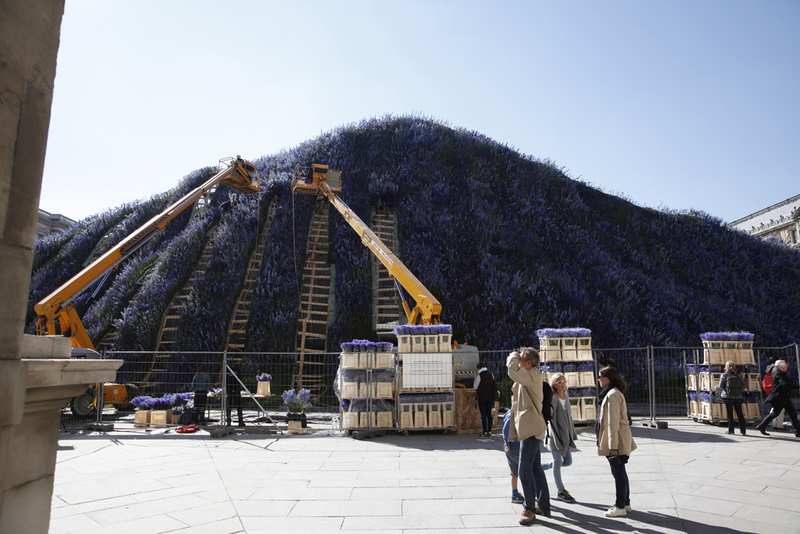 In total 400,000 stalks of blue Delphinium were installed by mega production company Bureau Betak. 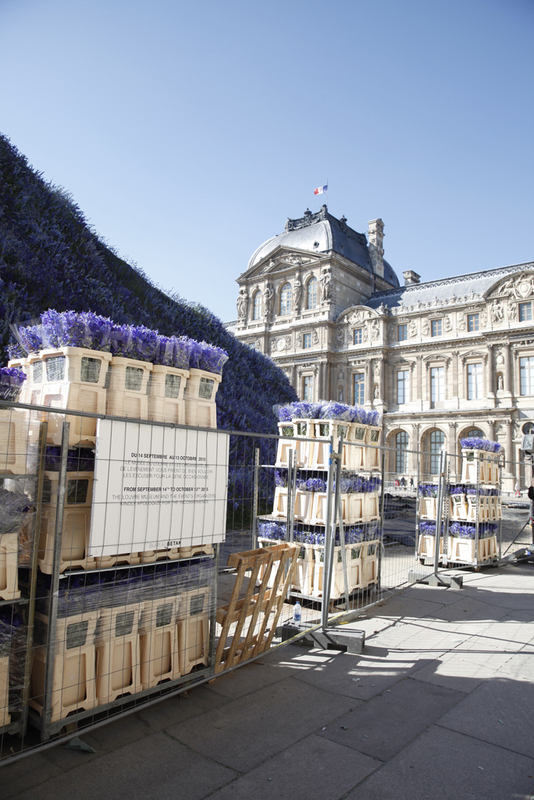 Images from WWD and Paris in Four Months.